What Are Some Key Questions to Ask When Choosing Teaching Methods and Materials for Literacy Instruction? The following is a quite rough attempt to draft some questions that teachers can consider when selecting teaching methods and materials in a literacy program. The questions ask teacher to reflect upon such items as the developmental stage(s) of learners, the degree of balance in instruction, whether content is suitable, and the adequacy of planing/assessment practices. It is hoped that these questions will be refined and explained in the future. Please explore and enjoy!! What stage of literacy development would I consider this individual to be at? Upon what evidence am I making this assessment? Is the learner at the age-appropriate level? What instruction/practices has the individual had previously? What instruction would I recommend for this learner and why? What resources and practice would this include? Are such resources and practice accessible and appropriate? Does the learner have access to safe, supportive spaces with a coalition of supporters and access to quality materials? Am I selecting the most appropriate reading material in relation to content, vocabulary, syntax, motivation and engagement? What other developmental factors must I consider in my assessment? Language skills? Non-verbal cognitive skills? Background knowledge and interests? Maturation? Interests? Relationships? What are my hopes and aspirations for the learner? What are opportunities that lie ahead? What are some obstacles? What are some of the choices that will need to be made along the way? What are the Focus Areas of Instruction? How is my instruction balancing core aspects of literacy teaching: phonemic awareness, word recognition, orthography, fluency, composition, comprehension, robust vocabulary development, critical thinking, applied practice, content learning, and independent exploration? How are learners developing declarative, procedural and conditional knowledge? How am I focusing on mastery whilst at the same time allowing time for content-based inquiry and exploration? Are my lessons/units based around thematic investigations? Are my lessons/units anchored in real-world interaction and problem solving? Am I able to employ the Language Experience Approach (LEA) to develop language skills, purposeful reading, and non-verbal skills and knowledge? Is my focus on mastery systemic, intensive, linear though the use of spelling dictionaries, phoneme walls and progress practice with suitable texts? Is there ample guided and shared reading practice in order to assist with fluency and accuracy? Is there ample guided and shared reading practice in order to assist with comprehension? Am I regularly investing in vocabulary development through thematic investigations, word walls, word maps and related vocabulary/conceptual development? Is time set aside for reading practice and application of the readers’ cognitive toolkit? Is time set aside for composition with an emphasis on field building, deconstruction, joint construction, guided construction, and independent practice? In the earlier and later years is there suitable time set aside aside for oral language development (which is known to impact comprehension, vocabulary and grammatical knowledge) and print-based skills (which is known to impact fluency and accuracy)? Does my allocation of instructional time reflect a balanced approach? Is all learning based on knowledge exploration? Through LEAs? Thematic investigations? Close readings? Etc? Am I taking into account learners’ prior knowledge and present explorations when preparing LEAs and thematic investigations? Is the scaffolding provided for content-based learning adequate to enhance deep learning and discovery? Is the learning taking into consideration the context in which the learning will be applied? Must I consider the unique experiences of particular ages or groups, such as pre-school learners, English language learners, those with learning difficulties, or adult learnings with limited literacy and/or English? If so, how does this affect my teaching? How do I take these factors into consideration? What are the literacy needs? language needs? learning needs? non-verbal needs? etc? Why must I continue to ensure that the teaching is developmentally appropriate with high expectations and quality support? Have I taken into account each level of literacy engagement? Have I taken all the factors above in my planning? Is my instruction evolving as the learners develop? Does my weekly timetable make best use of instructional time? Am I effective in my use of literacy rotations? What evidence am I collecting to make formative assessments on learners’ progress? Am I supported in the decisions that I make? Am I able to collaborate with others? Are my planning & assessment activities fair and adequate? Have I achieved balance in my instruction? Is my teaching structured, challenging and creative? Do I have a clear vision of the pathways for learners? Do I take into consideration individual differences and differentiate instruction accordingly? Does my teaching respond to the cultural and contextual diversity of my learners and the community? Do I consult with a wide range of stakeholders during my planning, preparation, delivery and evaluation? The following image presents the elements of the reading process as a flow chart that roughly identifies levels of reading processing. I ask you to imagine a reader holding a text within the hands. 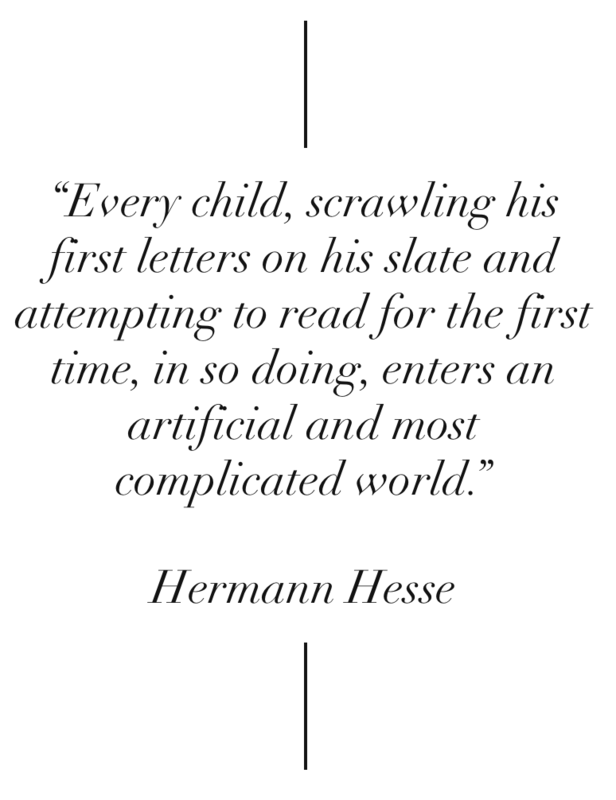 Whether or not any comprehension occurs begins at the fundamental first steps: is adequate attention being paid to the text? Does the reader have the language and the knowledge to adequately draw meaning from the text? It is a process of both top down and bottom up processing, in which the top down process brings background knowledge and prior experience to bear on the reading and the bottom up process involves decoding, defining new terminology, and making sense of sentences through a knowledge of a syntax. The following diagram further represents how both top down and bottom up processes interplay in an interactive approach to reading instruction.